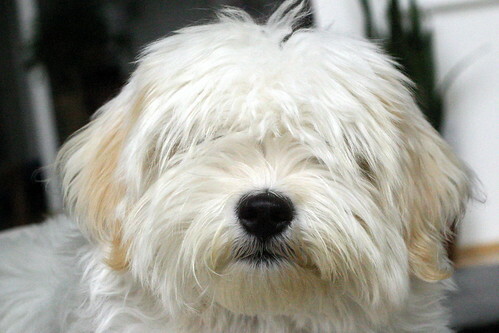 When we first got Ada, we laughed about how her hair covered her eyes so she probably couldn’t see very well. Rather than cut her hair, we decided we’d let it grow thinking it would eventually fall down below her eyes. Almost a month later and I’d say the hair situation has only gotten worse. I should probably take her to a groomer to get a haircut, but I love the fluffy!